Biography* � Travis Lowell Knight Sr., 60, resident for the past thirteen years of New Orleans, Louisiana, died on Thursday, January 27th, 2005, at his home. He was the son of the late Lucille Culpepper Knight and Bob Knight. He was born January 15, 1945, in Hubbard, Texas. Mr. Knight was a realtor. He is survived by his wife, Becky Massirer Knight; one son, Travis Lowell Knight Jr., one brother, Bobby Knight; and a number of nieces and nephews. Mr. Knight was preceded in death by his sister Billie Springer and brothers Malcolm, Otis and Buster Knight. John Howe, 5/12, M, CA. Louis Phillippe Hough, 6/12, M, AL. Russell Thompson, Son, 2, FL, FL, CA. E-mail written 21 Apr 1998 to Warren Culpepper from Max Huff. 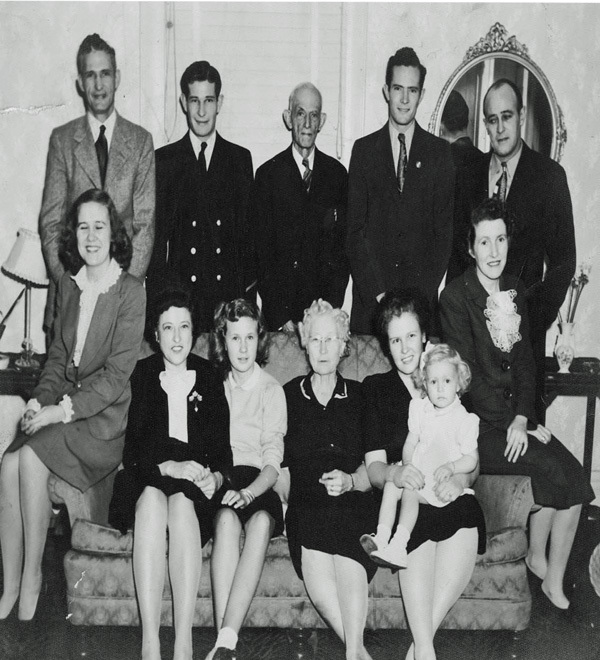 Joseph R. Howe's brothers are Charlie, Emanual, Walt and John, and sisters are Rosa Gray and Hester Thompson. Rosa Hough, Dau, Wh, F, 10, sng, FL/SC/Mex. Precinct 1, Santa Rosa Co., FL, page 170D, LDS CD. His wife Mary is shown as a widow. E-mail written 2001-2008 to Warren Culpepper from Walter Wesley Howe (#41308), e-mail address. Eva Dean Payne, handwritten record, Eva Dean Payne to Warren L. Culpepper. Elizabeth Howe, Daughter, F, 6, S, FL/AL/FL. Newton Howe, White, Male, died in 1918 in Escambia Co., FL, Vol. 35, Cert 3697. Walter W. Howe, 9 Mar 1922 - 1 Aug 1987, Served 7 Jun 1939 to 29 Dec 1959 as CWO2 in the US Navy, Interred 1 Aug 1987 in Barrancas National Cemetery, Section MA, Site 70. Joseph R. Howe, Son, M, 5, S, FL/AL/FL. E-mail written 2000 to Warren L. Culpepper from Brenda Payne Keel (#38758), Blountstown, FL, (Deceased 2007). E-mail to Lew Griffin from Ruth Anderson Howe. Mary Howe, Mother-in-law, Jan 1835, 65, Wid, MX, Spain, Spain. Adeline Grey, W, F, 4, Daughter, Sng, FL/GA/NC. News Article* 27 Aug 1963� Joseph B. Sabal wears his iron-grey hair in a crew cut. His big hands look powerful and he can prove they are. There is a wrinkle or two, but no more, in his tanned face, He is 79. He plays 18 holes of golf every weekend--on his 79th birthday he played 27. He competed in this year's Walk-a-Thon, finishing in good time despite a blister caused by wearing the wrong type of shoe. "I don't want to be made ridiculous," he said, modestly. "I'm just a man who has kept himself in shape--don't want to seem like I'm boastful or anything." Names such as Henry Ford and Arnold Palmer reside prominently in Sabal's memory. In 1906, Henry Ford promised Sabal the Ford franchise for Pennsylvania if Sabal could find a financial backer. At the time, Sabal says, the Ford was expensive and the worst car in the world," An owner was fortunate if his Ford would take him 30 miles to the next town, he says. Then Henry Ford began building an inexpensive little machine which nearly anyone could afford--the Model T. Sabal was convinced the new car would sell, so he found a backer and promised him Pennsylvania for a small investment. They 'went to Ford with the offer. And Sabal had been right -- the car began selling. He and his angel were shown a good-sized room filled waist-deep with order slips for the Model T. Ford offered them, not Pennsylvania, but Allegheny County. The investor, disappointed, seemed to vanish in a puff of smoke and with him Sabal's chances. "Maybe it was a good thing," Sabal says now, "because I'd have made so much money I might not have lived through it. He knew Arnold Palmer when the golfer "was in knee-pants." Palmer's father was pro at the club where Sabal used to play, and was training young Arnie in the game. The young Palmer was good even then, Sabal recalls. "The trouble Arnie's father used to have with him was keeping him interested in the game. So he'd take the boy's clubs away from him for a week or so -- that would do it!" Sabal himself is an inveterate golfer. In days past, he of ten played 36 holes in a day. Now he generally plays 18. He played on a St. Petersburg par-three course recently with two friends - and on the second hole one of those fantastic oddities of sport occurred. Sabal said he never saw it happen before and never expects to see it again. The first two players were on the green with one stroke each. Then Sabal shot a hole in one. And then each of the other players one-putted. The total number of strokes for the hole, for all players combined, was five. "It's something for Ripley's Believe-It-or-Not," he said. Sabal wants to remain active: I think it's the worst thing in the world to sit around on these benches." He recalled a man he knew here five years ago. "He was dapper and neat - and very intelligent. He used to stop in here at the stand every once in a while." "I saw him again not long ago," he went on. "He wasn't wearing socks and had a hole in his shoe. I was afraid to speak to him because I could see he had lost so much of his mental faculties." "I'd hate to have anything crippling happen to me," he said. "If I kick out on a green playing golf, it'll suit me fine," he added with a grin. A friend asked Sabal recently: "Why in the world did you enter that Walk-a-Thon on such a hot day?" "Well, I couldn't pick the day," Sabal replied. He covered the first half of the 9.2 mile course in an hour and five minutes, but then a blister began to bother him and he had to finish at a more leisurely gait. He and a 22-year-old girl crossed the finish line together. Proud of his physical condition, Sabal attributes it to the fact that he doesn't "abuse" his body. "I don't make a religion of it, but I do watch my diet. I drink .a small glass of carrot , and celery juice every day -- we don't get enough fresh vegetables," he said. A typical day for Sabal starts at 7 a.m. After breakfast, he works in the yard of his 19th Street North home until about 11 a.m. Then he showers and walks a mile or two. He has lunch downtown. He drops in at his club to play two or three games of shuffleboard, rests for a while and goes to work. From three to nine in the evening he works behind the counter at Chet's Cigars across from the Open Air Post Office. One day not long ago, he was working at his counter when three or four husky young men came in. The youths were somewhat rowdy, and Sabal asked them to quiet down. "Listen to that grey-haired old guy," said one of the boys, loudly enough for Sabal to overhear him. Sabal went to the soft-drink machine, got a bottle and a half-dozen bottle caps. He walked quietly to the boys and handed each one a cap, then placed the bottle between them. Sabal grasped the cap in one hand between thumb and a forefinger, crumpled it shut like a clamshell and dropped it into the bottle. The boys tried it, groaning and sweating. Then they gave up and grinned, evidently getting the point. "Those boys came back lots of times since then," Sabal recalled. "And they brought their friends." "I had to demonstrate for their buddies each time," he chuckled. From the Evening Independent, St. Petersburg, Florida, 27 Aug 1963. Raymond Howe, Son, M, Mar 1899, 1, S, FL/CA/FL. 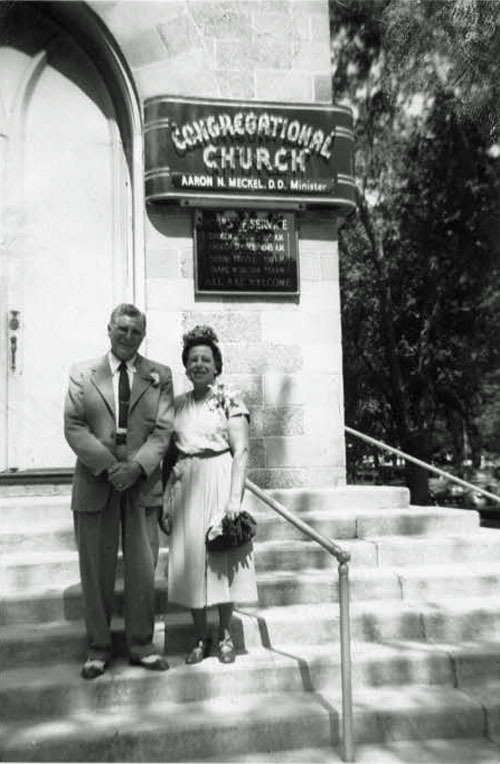 Joseph Edwin Howe, born 6 Jun 1891 in Bagdad, FL; Registered in Santa Rosa Co., FL. E-mail written 15 Apr 2002 from E. Willis. Victor E. Howe, discharged 26 Sep 1919 at Camp Gordon, GA.
Bagdad Cemetery, Section 5, page 24, "Victor E. Howe, FL CPL CO A 3 MACHINE GUN BN WW-I, 'Thy life was beauty, truth, goodness and love', Feb 20, 1895 - Nov 22 1952." Linnie Bernice Howe, F, 16, FL, CA, FL. Edwin Garlan Howe, White, 20 Jan 1921 - 23 May 1994, Santa Rosa Co., FL. Edwin G. Howe, 20 Jan 1921 - 23 May 1994, Served 17 Dec 1940 to 30 Jun 1959 as CSC in the US Navy, Interred 26 May 1994 in Barrancas National Cemetery, Section 38, Site 28. Santa Rosa Press Gazette, Milton, Florida. Obituary of Edwin G. "Ed" Howe published on 23 May 1994. Melvin Howe, Son, M, W, 5, Sng, FL, FL, FL [sic]. Linnie Howe, White, Female, died 1942, Santa Rosa Co., FL. Victor Elmore Howe, White, Male, died 1952, Santa Rosa Co., FL.